Hon. Minister of Communications Paul Lewis said his ministry is looking at setting up a CyberSecurity Unit to tackle the increasing issues surrounding the use of the internet for business. 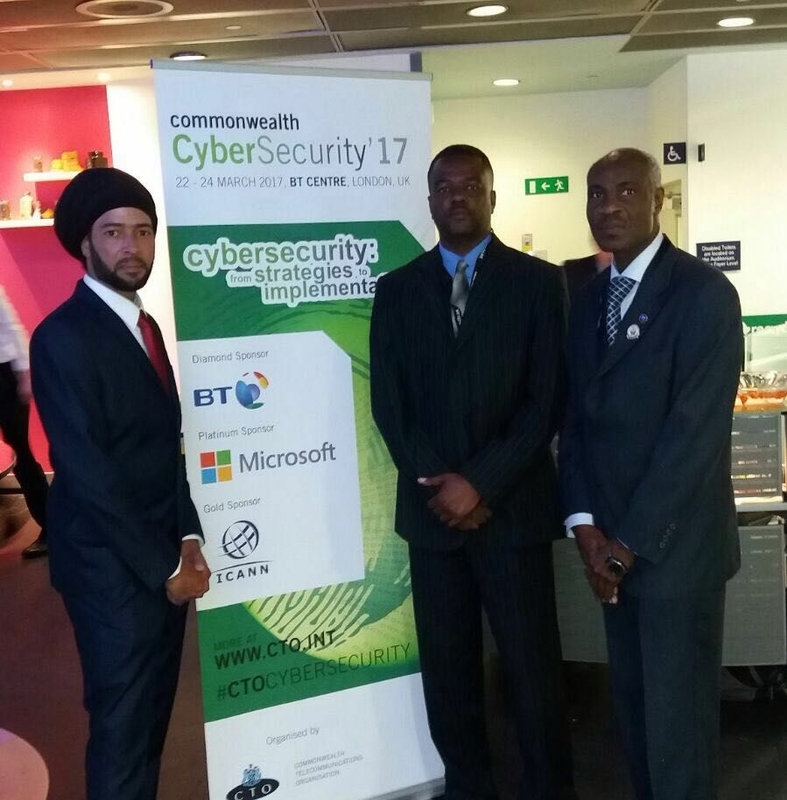 Lewis, recently attended the Commonwealth CyberSecurity ’17 in London which he said was an eye-opening event for him. He admitted to not being aware of how critical internet security had become and said he would be pushing for the Government of Montserrat to establish a unit to look at how they were managing the issue locally. IT Security Specialist Dwayne Cassell, Hon. Minister Paul Lewis, RMPS Commissioner Steve Foster at the Cyber Security Forum in London. Attending, as a guest of the Commonwealth Telecommunications Organisations (CTO) of which Montserrat is an associate member, the minister was invited to chair one of the panels. The minister said businesses are also vulnerable and the more dependent we become on using the internet to serve customers, the more critical it will be. “One of things that we discussed was that businesses often can’t afford the cost of maintaining security on their networks and so often they leave doors where cyber criminals can exploit,” he noted. Accompanying Minister Lewis as RMPS Commissioner Steve Foster and IT security expert Dwayne Cassell. The Royal Montserrat Police Service is critical to cybersecurity and cybercrime policy and implementation. The minister said he intends to continue discussions with the RMPS about how they are handling issues such as email fraud while reviewing how the government is currently handling its own internal security.